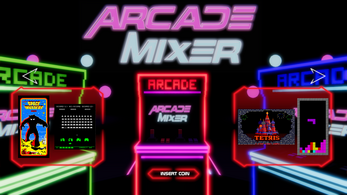 With a voxel aesthetics, Arcade Mixer combines different classic games to make each mini-game a challenge since the games are separately known, but when they are mixed they surprise us. - A shot of adrenaline with ‘Tetris & Space Invaders’ red potion. To play for fun. 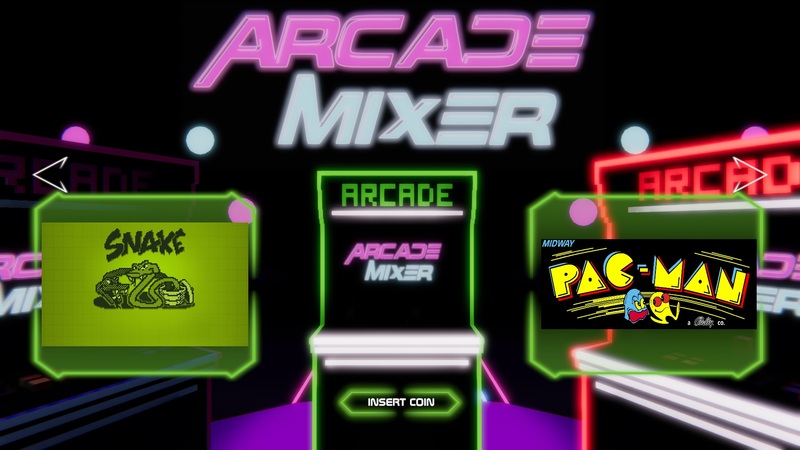 - An old green brew of ‘Pac-man & Snake’. So tasty and nice. - An ‘Arkanoid & Asteroids’ blue cocktail. Not recommended for beginners. 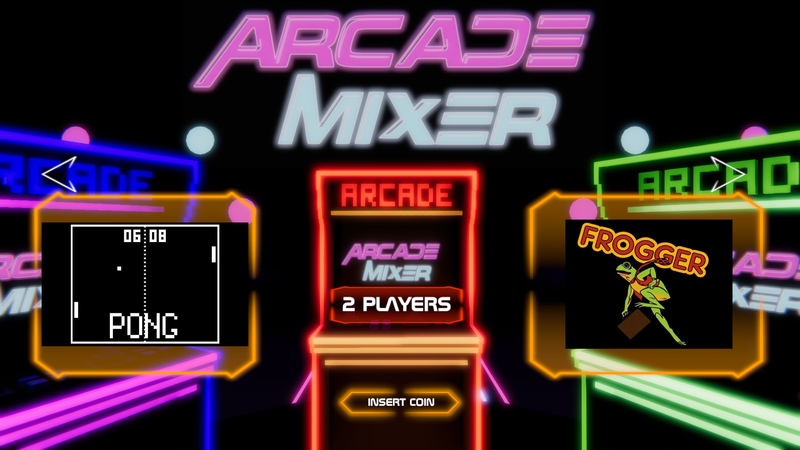 - A sip for two, 'Pong' flavour with a pinch of 'Frogger' look. Perfect for couples. At the end of each mini-game, you can share your score on twitter and challenge your friends to beat it, so train your wrists and become a true retro-mixer gamer. 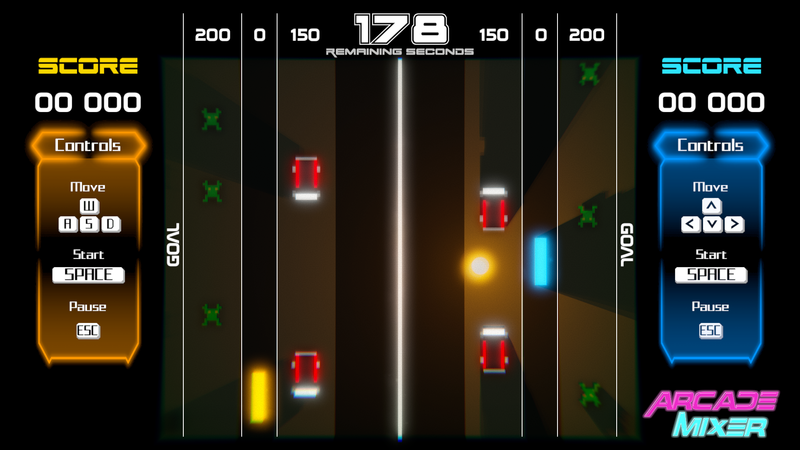 Every week a LeaderBoard will be published in our Twitter Account with the highest scores. 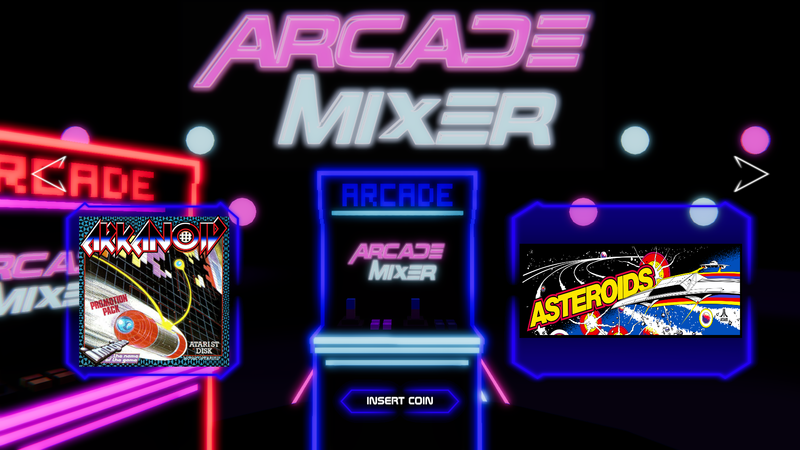 · Game tribute to 8 classic arcade games. · More incoming mini-games (updates). 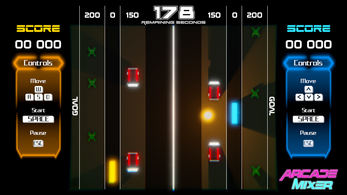 · This is an indie game made by one person and that’s cool. Interesante mezcla de juegos clasicos de las recreativas. 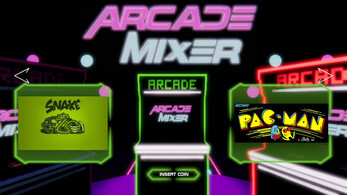 ¿Que más mezclas de juegos se te puede ocurrir para la siguiente actualización, un King of Street Fighters, Galaga Qix, Rampage Kong, Repara-Q*Bert jr, Felix Bros., Donkey Mario? Pero te informo de algún problema, en Pac-Snake y en Astenoids tienen los controles muy lentos, sobretodos en Pac-Snake, que se mueve a pasitos cada 3 segundos, póngalo mejor a la velocidad mínima de uno o medio segundo por paso, y en Astenoids también que se mueva más rápido como para no perder en momentos más inoportunos. Gracias por el comentario Ofihombre!